Inspired by Marisa’s tattoo quote, “She makes the pavement her pages, she writes through word and sole,” Word & Sole is a personal blog and collection of work in various genres exploring femininity, purpose, and one’s path. 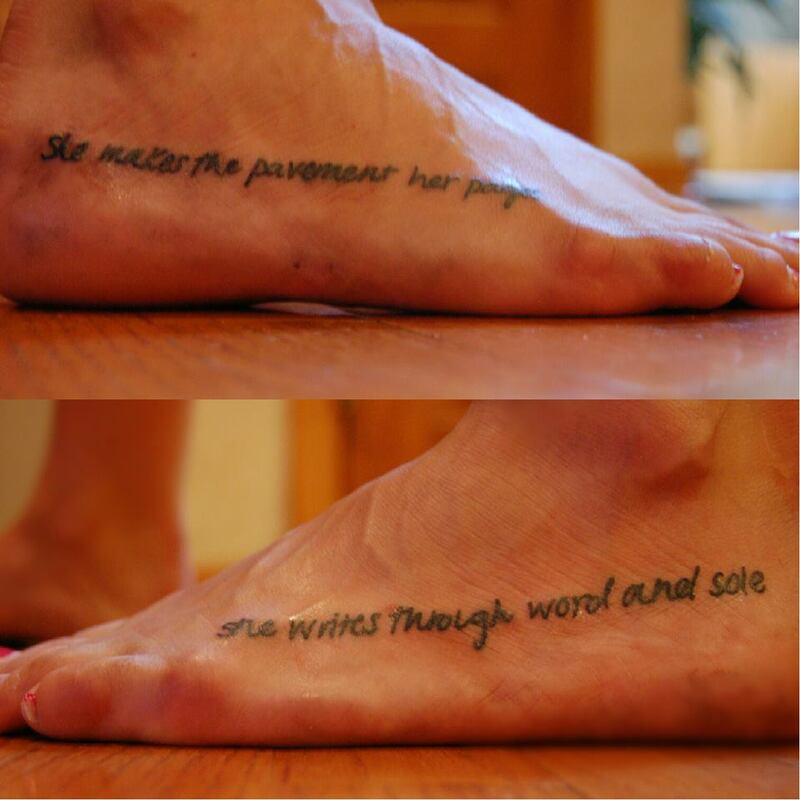 As a writer and runner, both the tattoo and blog have personal significance to Marisa as they explain the importance of words as a means of creating herself and writing her journey–literally and physically–with the soles of her feet and her soul carrying her through memories, places, and stories. Word & Sole is the personal blog of Marisa Donnelly, a Midwest-born, San Diego based writer, editor, coach, and founder of Be A Light LLC. Marisa has published thousands of articles with over 21.2+ million page views on a variety of topics. She is the author of Somewhere On A Highway, and writes for companies, brands, and clients all over the world.